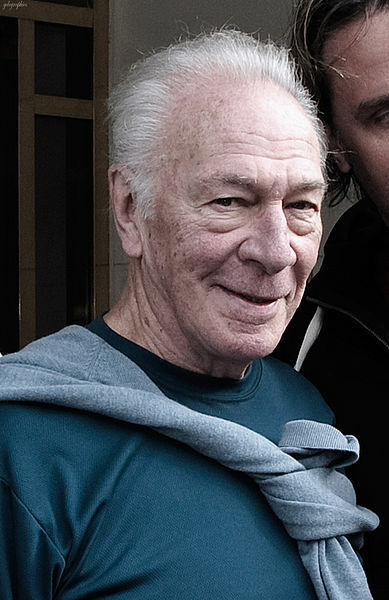 Christopher Plummer was born in Toronto, Canada, on December 13, 1929, is an Canadian actor. Young Christopher Plummer began his acting career on stage and he made his Broadway debut in a play The Starcross Story (1953). He made his big screen debut in drama romance movie Stage Struck (1958) in role as Joe Sheridan. Christopher's breakthrough performance came as Captain von Trapp in the musical drama film The Sound of Music (1965). He won the Academy Award for the Best Supporting Actor for his role as Hal Fields in romantic comedy drama film Beginners (2010), at age of 82. He was nominated for the Academy Award for the Best Supporting Actor for his roles as Leo Tolstoy in biographical drama film The Last Station (2009) and as J. Paul Getty in crime thriller film All the Money in the World (2017). He won the Tony Award for Best Actor in a Play for his roles as Cyrano de Bergerac in Cyrano (1974) and as John Barrymore in Barrymore (1997). He has been married three times and had one daughter. He voiced Charles F. Muntz in film Up (2009) and Henri in film An American Tail (1986). He was awarded a star on Canada's Walk of Fame in Toronto, Ontario in 1998. Lives in Weston, Connecticut, U.S. When I was young, I played the piano and studied classical music and jazz. I wanted to be a concert pianist, and if I'd devoted myself to it, I could have been. But it would have been too much work and a very lonely life. Most actors come from the streets, and their rise to fame is guided by a natural anger. It was harder to find that rage coming from a gentle background. I've done a lot of pictures that are ensemble, and I've not always liked the people I was working with, but that doesn't make any difference because you do the job, and often it turns out to be a great ensemble even if you didn't particularly really like anybody. I wasn't thrilled about 'The Sound Of Music' - not the movie itself but my role in it. Captain Von Trapp was a bore, and they tried to help by giving it a bit more cynicism, but it wasn't my favourite role. I enjoyed the music, and I loved Julie Andrews. I was an only child, so I was very demanding. I enjoyed it thoroughly, but I wasn't very pleasant. I'm bored with questions about acting. I was much a part of live television in the '50s. There was something terribly honest about live television and terribly dangerous and terribly risky. You were bound to learn your lines without bumping into each other, which we did a lot of. Not the challenges necessarily, but the way in which you get ready because your technique has improved over the years and you perhaps know how to be more economical than perhaps you used to be when you tried to work perhaps too hard.